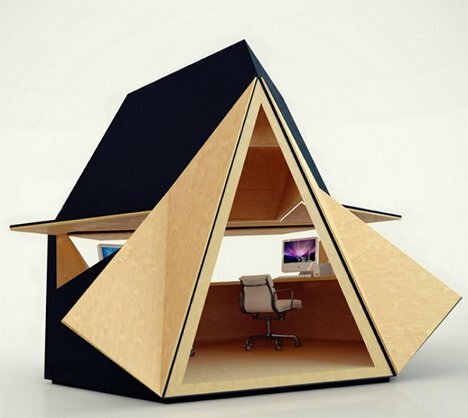 Tetra Shed has come up with an inventive way to modernize the home office. This new modular building system is the new modern garden office for those who love cool architecture infused with modern art. How amazing would this be to have in your backyard. Those long home office hours can now be spent outside your home in the backyard with this awesome office space built to go with your creative mind. Tetra Shed even had bigger modular offices for those who need a much larger space. Although the starting price is about $24,000.00, the money would be worth spent as you indulge yourself in your new office space. Think of it like buying a new car or renovating your home. Beautiful colors bring vibrant passion to a canvas, thanks to the very talented artist Laurie Joan Aron. This amazing painting that resembles a silky piece of fallen fabric captures the softness and sophistication of expensive silk. The subtle paint brush strokes provides a floetry of simplicity. The Getty Museum acquires 14 photographs from the great Fashion Photographer Hiro(Y. Hiro Wakabayashi). 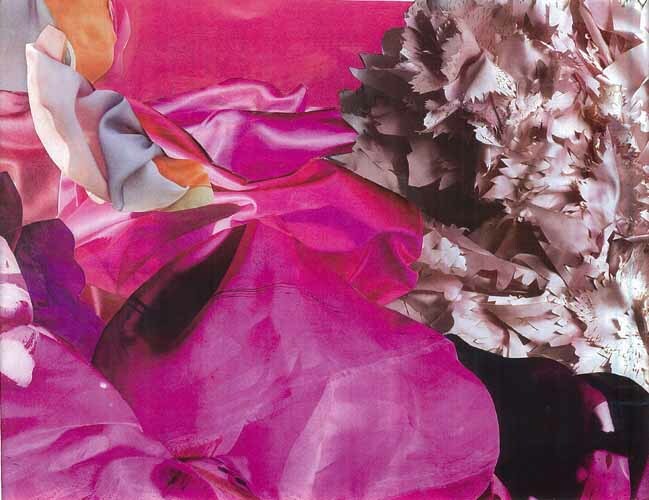 According to the announcement made today via press release, the 14 fashion forward photographs are comprised of work he created while on assignment for Harper’s Bazaar, French Vogue and Mirabella from the 1960s–1990s. Prominently known in the 1960s and 1970s for his editorial work in Harper’s Bazaar during a time when editors strove to fill their magazines with great photographs rather than ones that simply highlighted a product, Hiro’s compositions, which feature unusual juxtapositions, have changed the face of the genre and continue to influence photographers today. All fourteen photographs were acquired through the support of the Getty Museum’s Photographs Council. Highlights from the acquisition include Black Evening Dress in Flight, New York from 1963. Shot from above, Hiro captured the flowing movement of a model wearing a wing-stoled evening dress and slender, high-heeled satin sandals. Beauty in Strength, New York from 1964, also part of the acquisition, shows the bracelet on a woman’s wrist. Interested in portraying a new generation of women by showing strength and vivacity, the artist tied a tourniquet on the model’s hand to make her veins stand out. Also included is Maria Beadeux, New York from 1971. Created to show off Estée Lauder’s new lip color, Hiro focused on the model’s lips and instructed her in how to languorously release a puff of smoke from her mouth. Other artists in the Getty's collection who established a reputation for their fashion photographs include Richard Avedon, Cecil Beaton, Louise Dahl-Wolfe, Baron de Meyer, Horst P. Horst, William Klein, Man Ray, and Edward Steichen. The artist has generously offered to donate Marisa Berenson, Hat by Halston from 1966 and an additional three prints were acquired for the Museum by Council members Anne Cohen, Manfred and Hanna Heiting, and Dr. Richard and Strawn Rosenthal. Hiro was born in Shanghai in 1930, then emigrated from Japan to the U.S. in 1954. He apprenticed under Richard Avedon, who introduced him to the art director of Harper's Bazaar, who gave him a position at the magazine. In January 1982, American Photographer magazine devoted an entire issue to Hiro and asked, “Is this Man America’s Greatest Photographer?” Hiro’s work is published in three monographs and can be found in the permanent collections of the Museum of Fine Arts Boston, George Eastman House in Rochester, and the National Portrait Gallery in Washington, D.C.
Creative art turns weird when an artist turns 12,000 skittles into a portrait of George Zimmerman. 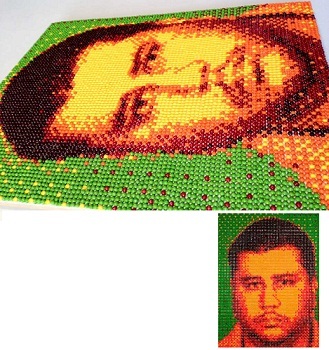 An unknown student at the Metro College, started the portrait when he first got word of the tragic shooting/killing of the Trayvon Martin case. Bell thought a possible injustice wasn’t getting the attention it deserved. “I wanted to do all I could to raise awareness about the case,” he said. He goes on to say, “It’s a symbol of what happens when you let fear or hatred rule your life,” Bell said. Bell stated he is not condemning Zimmerman but wanted to help shed more light on the case that has America talking about racial stereo-types and assumptions.